Today, we are releasing Windows 10 Insider Preview Build 17634 to Windows Insiders who have opted into Skip Ahead. Now you can find past or future events by searching for the name, location, people included or words in the event body. 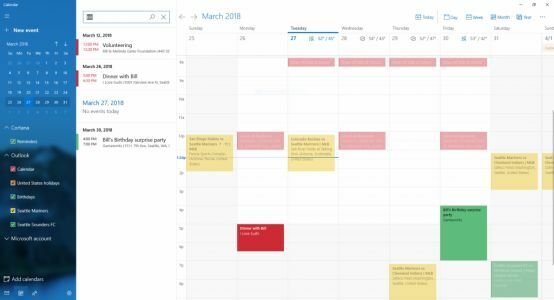 Events that match your search will be clearly visible on your calendar, while those that don't will be greyed-out so you can find what you need quickly.